Mental health issues occur in 1 in 5 teens, ages 13-18 according to NAMI: National Alliance on Mental Illness. As a parent of a teen with mental health issues, you might find some challenges along the way. You are not alone though and we have some helpful advice to get you through these trying times. Observe your teen’s behavior, emotions, and moods as to not delay getting treatment if a mental health issue does present itself. Be keenly aware that symptoms will not constantly present themselves. Additionally, your teen could also attempt to hide symptoms. Medical records and any past mental health evaluations. What types of medications your teen takes if any. Any other information that you think your doctor or mental health professional would find helpful. Describe what you have been witnessing as symptoms and give a detailed account of when those symptoms have occurred and/or changed. Don’t hesitate to ask questions or get a second opinion if you are not given a diagnosis or referral. Especially if your instincts are telling you otherwise. It’s better to be safe than sorry. While you will be working with a mental health professional, it is still important for you to learn all that you can about your teen’s diagnosis. Your mental health professional should be able to provide with helpful information to learn from. You can also refer to the Resources section on our website. Teens suffering from mental health issues may struggle in school. You want to ensure that your teen is getting the support and guidance that he needs. Remember that teens with mental health issues are protected by the law requiring that they get the accommodations that they need. You need to adjust your expectations to respect your teen’s condition. Be sure to be respectful and sensitive to your teen’s feelings and keep your own feelings in check. You don’t want to worsen the way that your teen is feeling. While it is difficult to think about it, your teen is not going to be the same as they were before their illness. You need to emotionally prepare yourself for this. You don’t have to let your teen’s diagnosis be all consuming while still be concerned for them. We suggest that you continue to take care of yourself and seek the additional support that you need so that you can properly be there to support your teen. It is also important that you don’t neglect the rest of your family. Keeping your family happy and stable will help keep the stress down for everyone and in turn, will help your teen. Lastly, call on your village. Don’t hesitate to ask your family whether it be a spouse or other children for help. We all have different strengths and perspectives which can help your teen. We know that this is going to be a challenging time for your teen, you, and your entire family. We hope that this advice helps. 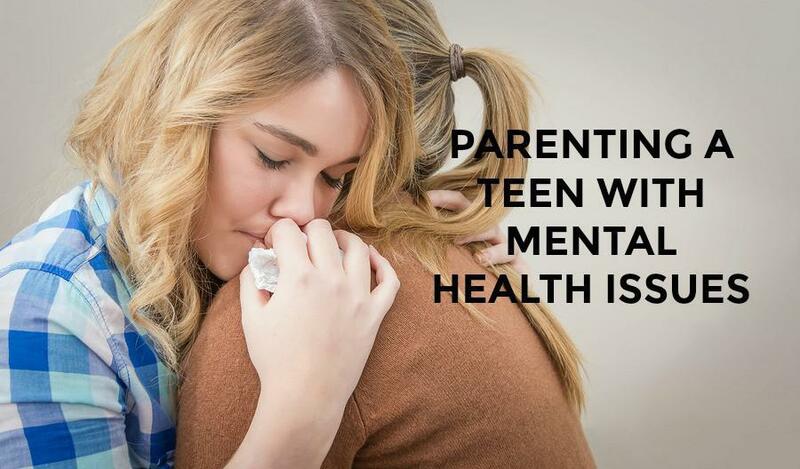 If you have not already sought the help of mental health professional, Doorways offers various treatment options and are here for you and your teen.